Hello Reader! Like Small Scary Creatures that loves Gold? Do love 90’s Horror Films? Well the film in talks is being renewed and has a release date and Trailer Below, Check it out. 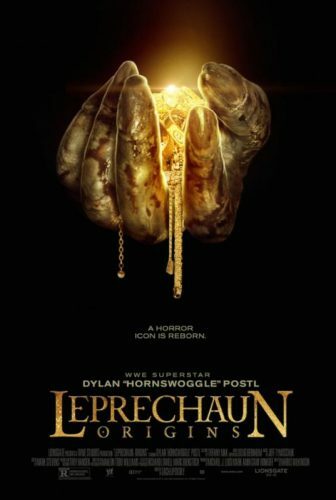 Leprechaun Origins is the title and sequel to the earlier Leprechaun films. We wrote about this update a year ago and is Finally been made and is set to release straight to DVD/Blu-Ray and VOD thanks to WWE. From the trailer we dont get to see the Monster but speculations are the Leprechaun will look different. Over all the scar factor might be there and also looks like they might go more serious with the film. I hope that they have some funny stuff in it like the original though. Leprechaun Origins might not be alone when it’s released. We might get a box set with the other Leprechaun films like they did for the Childs Play Films, Which would be cool to see all of the older films on Blu-Ray for the First Time. No word on this yet, just some hints around the web. Plot: A Few Teen Couples backpacking in Ireland quickly discover the idyllic land is not what it appears to be be when town’s residents offer the hikers an old cabin at the edge of the woods. Soon, the friends will find that one of Ireland’s most famous legends is a terrifying reality. The Guys Are Back, Hot Tub Time Machine 2 Travels a Trailer?